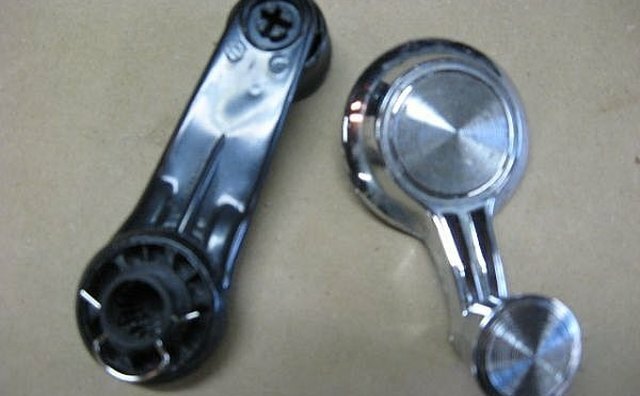 Removing and Installing a car window crank handle can seem like a mystery if you haven't done it before. It is really a simple process though! 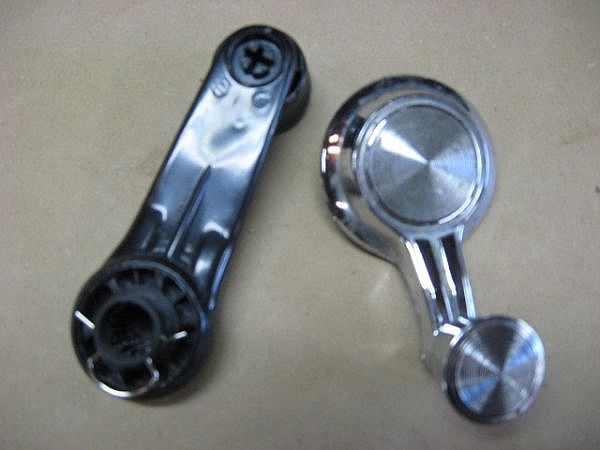 The handle connects to a gear which turns when opening or closing the window and is held in place by a simple retaining "C" shaped clip. You need to slip the flat side of the handle removal tool just behind where the handle meets the door panel so the flat side is against the door panel. Be careful not to tear or scratch any panel materials! Once the tool is in place, turn the window handle a little bit at a time in both directions while simultaneously putting downward pressure toward the handle with the tool until the "C" clip retainer gets caught and is pushed out of it's slot. This retainer may jump away so you want to keep a close eye out. This process is more of a manipulation which may take a few moments until the tool catches the clip since you can't see back there. A little patience here and don't force anything! Once the retaining clip has been removed you should be able to pull the handle straight off of the gear it is on. It may take a little force and you should only work it off from the attachment area and not from the arm of the handle. 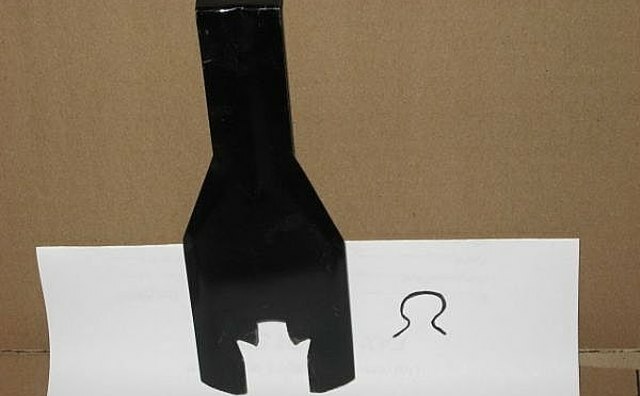 To reinstall the handle you will need to set the retaining clip just over the stem part of the window handle that will fit back over the gear. You will see the slot the "C" retainer clip will fit over. Press the clip "partially" over the slot, so that when you press forward, once the handle is on the gear, with your tool it will snap forward and set into the groove which will lock it in. .
Once the handle is in place with your "C" retainer in place, slip the same removal tool behind the handle and between the door panel and push forward as you gently turn the handle until the "C" clip catches and slips over the entire handle locking itself down. It may take a few tries and a little patience. Once you feel the clip catch, you can test to be sure it is in correctly by trying to pull the handle off from the attachment area, where it is attached to the gear, not at the handles end. If the clip has truly caught, it will not pull off. Always a good idea to have extra door handle retaining "C" clips in case you loose your original. 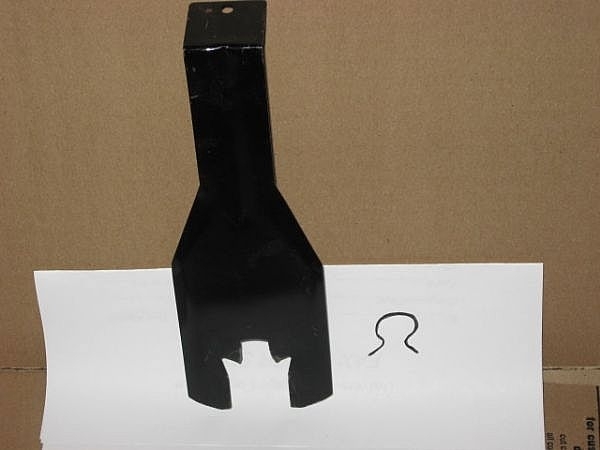 Most auto supply stores carry them in the same section where you will find the removal tool. You can place a thin piece of cardboard between the tool and your door panel as a protection to be sure not to scratch your door panel material while using the tool. Be careful not to scratch up or tear any material on your door panel with the sharp edged removal tool.